New tax breaks, a slight bump in the minimum wage, and an opportunity for adopted people to obtain their original birth certificates await New Jerseyans as a plethora of high-impact laws take effect in 2017. News of the tax cuts was likely overshadowed by the 23-cent per-gallon rise in the gasoline tax that took effect on Nov. 1 to replenish a depleted Transportation Trust Fund for sorely needed transportation projects. Gov. 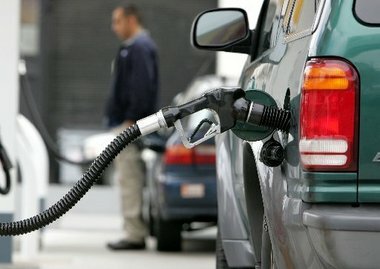 Chris Christie and the Legislature approved the tax cuts to cushion the blow of New Jersey’s first increase in the gas tax since 1988. Those benefits, which include phasing out the estate tax and expanding tax deductions on retirement income are much more than a distraction, said Michele Siekerka, president of the New Jersey Business and Industry Association. She called them a “game changer” for a state that is perennially labeled as one of the most hostile to business owners and affluent taxpayers. CPAs (certified public accountants) are starting to tell their “snow bird” and wealthier clients that it is okay to retire here, Siekerka said. Lawmakers will begin considering bills to raise the gas tax on Thursday. Liberal-leaning organizations like New Jersey Policy Perspective have criticized the decision to eliminate the estate tax because it helps so few people, but potentially could hurt many more if the loss in revenue leads to cuts in school aid and other important services. Jan. 1 also ushers in hard-fought social policy changes. Adopted people may request to information about their birth parents, and people arrested on minor offenses will spend less time awaiting trial and more reasonable bail requirements under a “seismic shift” in criminal justice practices. About 3,500 estates, worth at least $675,000, are subject to the estate tax each year. But starting this month, the state will impose the tax on estates worth $2 million or more. The entire tax would end after Jan. 1, 2018. The Earned Income Tax Credit for low-income workers get a boost from 30 percent of the federal level to 35 percent. The expansion will benefit about 600,000 New Jerseyans, who will pocket about $200 more from the tax return, Whiten said. Eligibility depends on income and number of qualifying children. The income limit is about $14,800 for a single, childless adult, and $53,000 for a married couple with three or more children. The sales tax will decrease from 7 percent to 6.875 percent on Jan. 1, and then from 6.875 percent to 6.625 percent on Jan. 1, 2018. Legislative leaders said Christie was adamant about enacting a sales tax cut when he agreed to raise the gas tax but it may not be noticed by most consumers. The state Treasury will feel it, however. The revenue loss would equal about $92.4 million this year, $382 million in 2018, $593 million in 2019, $614 million in 2020, $634 million in 2021 and $655 million in 2022, according to an analysis by the independent, nonpartisan Office of Legislative Services. A married couple filing their taxes jointly can currently exclude their first $20,000 in retirement income from state income taxes. But beginning in 2017 and phased in over four years, that amount will ultimately increase to $100,000 for joint filers, $75,000 for individuals and $50,000 for those married who are filing separately. The state Health Department will begin fulfilling requests from adopted people to obtain their original birth certificates containing information about their parents. Christie signed the law in 2014, but stipulated that it would not take effect until 2017, in order for the change to be publicized for birth parents who don’t want the state to release records identifying them. Birth parents could have requested to have their named blacked-out if they filed a redaction form before Dec. 31. At any time, they may submit a contact preference form stating whether they wish to have no contact with their child, contact through an intermediary, or unfettered contact. Birth parents who request no contact must also must complete a family history form seeking medical, cultural and social history information about the birth parent. More information about the law is available on the health department’s website, or by calling 866-649-8726. One in 12 defendants remains in jail because a bail of $2,500 is too high. Starting in January, fewer people who commit minor offenses will be held on bail and detained. And if a person is held in jail, prosecutors will have 90 days to seek an indictment from a grand jury, and must bring a person to trial with 120 days. The changes are based on a 2014 law Christie signed which established an alternative pre-trial release system aimed at keeping poor defendants from going to jail simply because they could not afford bail. That same year, New Jersey approved a constitutional amendment to allow judges to deny bail to offenders who pose serious threats. The state also intends to hire 20 more judges to help carry out the provisions of the bail reforms. New Jersey’s minimum wage will go up six cents on Jan. 1 to $8.44 an hour, according to the state Department of Labor and Workforce Development. It will be New Jerseyans’ first increase since January 2015, when it rose from $8.25 an hour to the current $8.38. The minimum wage did not increase this year because there was no rise in the state’s cost of living. Efforts to pass a $15 minimum wage by asking voters to amend the constitution stalled this year. Correction: An earlier version of this story mistakenly stated that a broader tax deduction was available this year for couples earning $50,000. The deduction applies to couples earning $50,000 and filing their taxes separately.